The brief facts unfurl as that appellant filed an application u/s 125 CrPC contending, inter alia, that the appellant married respondent on 26.4.1992 and during her stay at the matrimonial home she was subjected to cruelty and harassment. In due course she also came to learn that the husband had illicit relationship with another woman and he wanted to marry her. The situation gradually worsened and it became unbearable for her to stay at the matrimonial home. At that juncture, she filed an application for grant of maintenance at the rate of 4 Rs.4000/- per month on the foundation that husband was working on the post of Nayak in the Army and getting a salary of Rs.10,000/- approximately apart from other perks. The application for grant of maintenance was resisted by the husband alleging that he had already given divorce to her on 18.6.1997 and has also paid the Mehar to her. 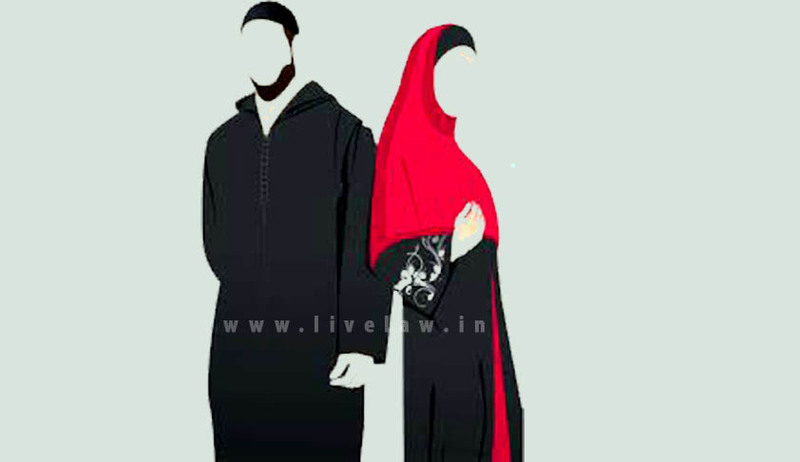 The learned Family Judge, Family Court, Lucknow while dealing with the application forming the subject matter did not accept the primary objection as regards the maintainability u/s 125 CrPC as the applicant was a Muslim woman and came to hold even after the divorce the application of the wife u/s 125 CrPC was maintainable in the family court. Thereafter, the learned Family Judge appreciating the evidence brought on record came to opine that the marriage between the parties had taken place on 26.4.1992; that the husband had given divorce on 18.6.1997; that she was ill treated at her matrimonial home; and that she had come back to her parental house and staying there; that the husband had not made any provision for grant of maintenance; that the wife did not have any source of income to support her, and the plea advanced by the husband that she had means to sustain her had not been proved; that as the husband was getting at the time of disposal of the application as per the salary certificate Rs.17654/- and accordingly directed that a sum of Rs.2500/- should be paid as monthly maintenance allowance from the date of submission of application till the date of judgment and thereafter Rs.4000/- per month from the date of judgment till the date of remarriage. The aforesaid order was challenged before the High Court in Criminal Revision wherein, the High Court came to hold that though the learned principal Judge, Family Court had not ascribed any reason for grant of maintenance from the date of application, yet when the case for maintenance was filed in the year 1998 decided on 17.2.2012 and there was no order for interim maintenance, the grant of Rs.2500/- as monthly maintenance from the date of application was neither illegal nor excessive. The High Court took note of the fact that the husband had retired on 1.4.2012 and consequently reduced the maintenance allowance to Rs.2000/-from 1.4.2012 till remarriage of the appellant herein. Being of this view the learned Single Judge modified the order passed by the Family Court. Hence, the present appeal by special leave, at the instance of the wife.